Access to the Penthouse is via a secure lift that opens up to the expansive living space on the first level of the apartment. On this level are two bedrooms (main with robe and ensuite) and the kitchenette and dining area. 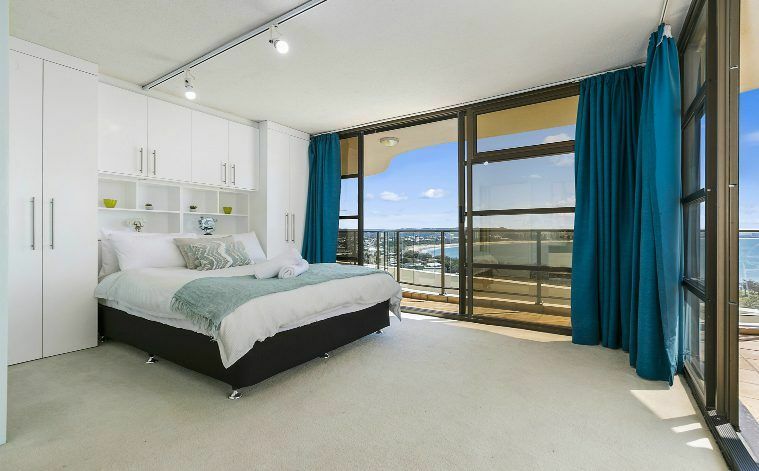 A balcony from the kitchen allows ocean views down to the south to Caloundra whilst the balconies from the living space and main bedroom offer views over Mooloolaba Bay and Marina and the hinterland to Noosa. Mariners Point offers the best views on the Sunshine Coast and a desired cosmopolitan lifestyle just a short walk to the beach, light house, parks, cafes and walking tracks with major shopping not too far away. This large beachside apartment offers the perfect opportunity to watch the world go by (not to mention the dolphins and yachts). This is truly the ultimate location to enjoy every sunrise and sunset. Alfresco dining on both upper and lower balconies. Renovated Kitchen with dishwasher, coffee machine, cooktop and oven. The complex has a pool located on the ground level. WiFi and Netflix are complimentary during your stay. Please note: There is a bbq on the top level (near the spa) of the unit. This bbq must remain on this level. We loved the location the view and the experience, we are booking a gain for next year. Was perfect stay for our family, we had everything we needed, they paid attention to all details and it was a perfect memories for our family.